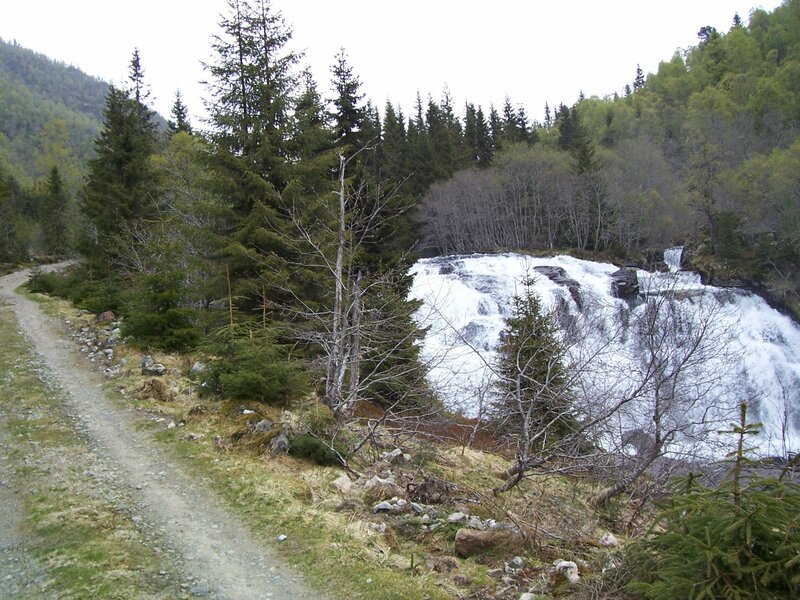 Rjukandefossen is a waterfall in th esouth/middle of Norway and is located in the Henjadalen near Hermansvik. From Hermansvik you have to drive into th eHenjadalen and just before Flya you will see the Rjukandefossen in the river Henjaelvi at the right of the road. In Norway there are many waterfalls called Rjukandefossen. Rjukandefossen means smoking waterfall, a promising description for a waterfall.